MACAULAY, ROBERTSON, insurance company executive; b. 20 Jan. 1833 in Fraserburgh, Scotland, eldest son of Captain Kenneth Macaulay, a mariner, and Margaret Noble; m. 18 Aug. 1859 in Hamilton, Upper Canada, Barbara Maria Reid of Edinburgh, and they had one son; d. 27 Sept. 1915 in Montreal. Robertson Macaulay’s independent spirit was tested early. Adventurous by nature and fortified by the deep religious sentiment his mother had instilled, he began work at age 12 as a construction labourer at Stornoway, Scotland. Possessing only the rudiments of education but imbued with the Scottish penchant for self-improvement, he devoted his evenings to unremitting study, concentrating on mathematics. He promptly secured an apprenticeship to the local solicitor and procurator fiscal. Macaulay’s foray into law awakened his social conscience. As an officer of the court, he was obliged to evict crofters. The experience convinced him that economic security was the bedrock on which the well-being of families rested. The death of his father in 1847, when he was 14, cruelly reinforced this idea. Abandoning law, Macaulay worked briefly for the Hudson’s Bay Company before venturing to Aberdeen, where he soon obtained a junior clerkship in the respected dry goods firm of Barker and Company. He remained for six years, but success did little to dampen his wanderlust. In 1854, at age 21, he set sail for Quebec. On answering a notice for an accountant placed by the Canada Life Assurance Company of Hamilton, Upper Canada [see Hugh Cossart Baker*], in 1856, Macaulay embarked on a career in insurance. As a perceptive commentator later noted, life insurance for Macaulay was the “medium through which he expressed his ideals”: it united his faith and his business sense in a socially beneficial way. Life insurance in the 1850s was an ironic choice of career for a young man who placed such store by personal integrity and social responsibility. The industry was weak on reputation and dominated by British and American companies. Contemporary sales techniques were often patently unethical and life insurance policies were riddled with escape clauses. Even for the most prudent companies, investment of premiums was a delicate affair in the depression-prone mid 19th century. Macaulay served as secretary of the Mutual Life Association of Canada in Hamilton before accepting, in 1874, the secretaryship of the Sun Mutual Life Insurance Company of Montreal (later the Sun Life Assurance Company of Canada). Sun Life had been established in 1871 by a syndicate of Montreal’s business élite. Headed by managing director Mathew Hamilton Gault*, its board of directors included such noted men as Alexander Walker Ogilvie*, George Stephen*, and Thomas Workman*. During its first three years the company had grown at a steady, if unspectacular, rate. Continued success in a competitive and uncertain economy, the board had concluded, required the expertise of a full-time professional executive officer. Relations between Macaulay and Gault were always strained. Mainly, they argued over Sun Life’s investment policy. Macaulay was dismayed by its heavy investments in two financial institutions controlled by Gault, the Exchange Bank of Canada and the Montreal Loan and Mortgage Company. From the start he worked doggedly to make Sun Life’s directors accountable. 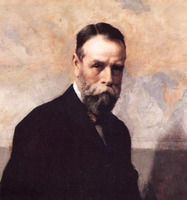 In 1876 he succeeded in instituting a compulsory independent audit of the company’s accounts and an actuarial appraisal of its policies, both new to Sun Life. Losses incurred by Gault’s companies soon forced Sun Life to underwrite its holdings and suffer losses of its own, but the crucial moment came in 1883 with the failure of the Exchange Bank and the near-collapse of the loan company. Sun Life’s reserves were seriously impaired and its reputation questioned. The company weathered the storm, but Gault, vice-president since 1879, was obliged to resign. His brother, Andrew Frederick*, was temporarily successful in marshalling the support of the board. To allay public fear, Macaulay was appointed managing director in 1884. Three years later, after a bitter fight for proxies, he was able to obtain a condemnation of the firm’s investment policy. He became president of the company in 1889 on the death of its first president, Workman. The life insurance industry expanded at a spectacular rate in the last quarter of the 19th century. Favourable legislation assured a dominant position for Canadian companies. Several factors accounted for Sun Life’s success, which exceeded the norm. Macaulay’s determined effort to cultivate a professional staff of agents guaranteed a constantly increasing flow of new business. In addition, the introduction of the unconditional policy, a radical step, increased consumer confidence and greatly improved the reputation of the industry. Macaulay’s most important stroke, however, was in pioneering foreign expansion. After opening its first foreign branch in the British West Indies in 1879, Sun Life expanded throughout the British empire and the Far East. By 1900 it held the majority of Canadian life insurance polices issued abroad. For his innovations in management and business organization, Macaulay can rightly be seen as a transitional figure in the move from control of insurance companies by proprietors to control by managers. In 1908, at 75, Macaulay passed the managing directorship of Sun Life into the capable hands of his son. 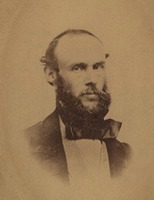 Thomas Bassett Macaulay had worked with his father to build Sun Life. Schooled in actuarial science, he added technical innovation to his father’s flair for management and marketing. Although the elder Macaulay retained the title of president until his death, the 20th century belonged to a new generation. 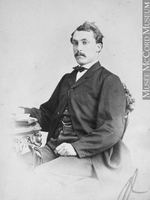 Robertson Macaulay’s success in business was exceeded only by his personal modesty and the esteem in which he was held by Sun Life’s employees. A lifelong benefactor of the Congregational Church, he contributed to many other charitable endeavours in a characteristically anonymous manner. Sun Life Assurance Company of Canada Arch. (Montreal), Executive papers, Robertson Macaulay, letter-book, 1875–79; private letter-book, 1879; record-book for executive committee meetings; scrapbook of obituary notices; Hist. records, “Robertson Macaulay (1833–1915).” G. H. Harris, The president’s book; the story of the Sun Life Assurance Company of Canada (Montreal, 1928). John Nelson, “How a sea tragedy inspired the policies of a great Canadian company: a romance of life insurance,” Saturday Night, 20 Feb. 1926: 10. E. P. Neufeld, The financial system of Canada; its growth and development (Toronto, 1972). J. A. Ross, “The early life in Scotland of the late president Robertson Macaulay,” Sunshine (Montreal), 20 (1915), no.5: 13–17. Joseph Schull, The century of the Sun; the first hundred years of the Sun Life Assurance Company of Canada (Toronto, 1971). Standard dict. of Canadian biog. (Roberts and Tunnell). Robert Sweeny, A guide to the history and records of selected Montreal businesses before 1947 (Montreal, ). 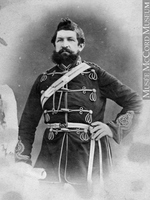 David C. Boucher, “MACAULAY, ROBERTSON,” in Dictionary of Canadian Biography, vol. 14, University of Toronto/Université Laval, 2003–, accessed April 26, 2019, http://www.biographi.ca/en/bio/macaulay_robertson_14E.html.